reception, banquet, concert or party. 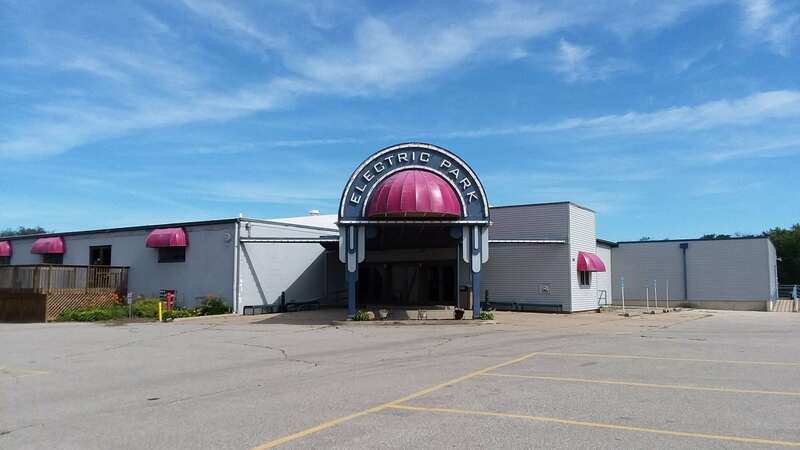 The famed Electric Park Ballroom got its start when R.E. Peterson developed a 14 acre site outside of Waterloo. 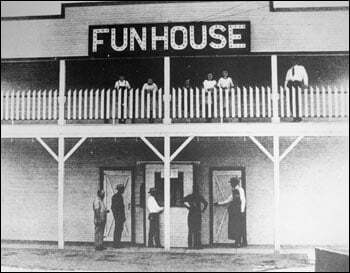 sports garden, picnic area, fun house and a lunch counter. Electric Park and destroyed much of what had been built. of the famed ballroom was once again, R.E. Peterson. now included in the city limits of Waterloo. Guy Lombardo were top draws at 25 cents a head. Johnny & The Hurricanes and Bill Black’s Combo being common. which has done a superb job with operation and upkeep on this beautiful facility. Electric Park Ballroom of Waterloo, Iowa, still rockin’ after all these years. 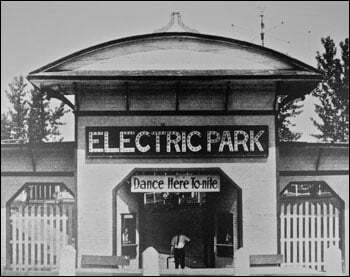 Electric Park had a Figure 8 Roller Coaster 1908-1922. A Roller Coaster named Loop the Loop 1909-1910. A Roller Coaster named Spiral Coaster 1911-1933.